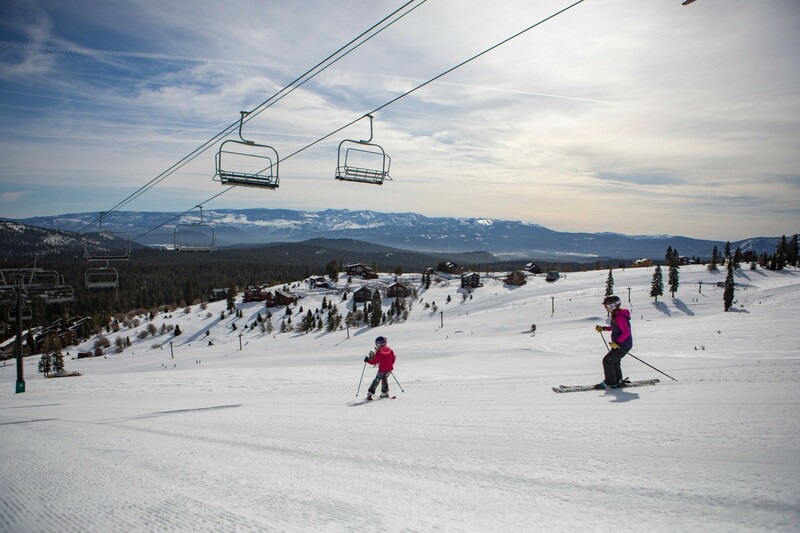 You'll discover Tahoe Donner Downhill Ski Resort in the upper reaches of Truckee. It is five miles from Donner Lake and less than 20 miles from Lake Tahoe. You will find one quad chairlift, one triple chairlift and three surface lift accessing 17 runs with over 120 skiable acres. Tahoe Donner Ski Resort is committed to being "the best place for family fun and learning." Wide-open bowls, uncrowded slopes, great beginner terrain, excellent grooming, and a friendly, courteous staff await all. Sledding and snow tubing is open during weekends and holidays periods at the Snowplay Recreation Area located at the Trout Creek Recreation Center. Ski and snowboard lessons. Retail shop, rental shop, demo skis, restaurant, bar and grill, snack bar, and lounge.